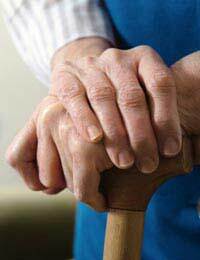 Home > Relief & Treatment > Can Occupational Therapy Help? Fibromyalgia syndrome causes a wide range of problems, both physical and emotional, including muscle pain, stiffness, and tiredness. Working with an occupational therapist can help with practical skills and support as well as coping skills and strategies. Occupational therapy helps people with physical and psychiatric problems keep active and remain able to look after themselves (and their families) for longer, as well staying in work, enjoying leisure pursuits and taking part in their local communities. This includes teaching new ways of doing everyday tasks, providing equipment to make tasks easier, and supporting and teaching members of the family, caregivers and work colleagues about the illness. The occupational therapist may also recommend aids to help with walking, such as a frame, sticks or crutches (see ‘Choosing a Walking Aid’). As well as physical skills and practical solutions, occupational therapists can also help individuals with coping strategies, managing depression, stress and pain, relaxation techniques, and ways to improve sleep, which is a common issue in people with fibromyalgia syndrome. The key aim of occupational therapy in fibromyalgia syndrome is to improve functioning, maintain independence and reduce pain, as well as helping people balance periods of rest and activity. The occupational therapist will begin the process with an assessment at home (and at work for people in employment). This will include watching the person with fibromyalgia syndrome carrying out a range of ordinary activities. It is important to ask plenty of questions and raise any issues of particular concern, such as sitting, walking, standing, climbing stairs, or lifting, so that the therapist can help as much as possible. Occupational therapists will begin by assessing and evaluating the house and how well people cope with everyday tasks in and around the home, such as shopping, cooking and cleaning. They can help people with fibromyalgia syndrome work out how to simplify jobs and save energy as they work around the house. People with fibromyalgia syndrome can become quite isolated. Hobbies and social and leisure activities are therefore very important for people with fibromyalgia syndrome, and occupational therapists can suggest how to modify existing activities and interests, or even suggest new hobbies that would be just as interesting but might fit in better with patterns of illness. An occupational therapist can help at work, by looking at the setup of desks, chair and computers, and advising on equipment that may help make jobs easier. An occupational therapist can also train people with fibromyalgia syndrome in how to sit, stand and lift objects. He or she may also recommend a temporary or permanent change in job, or reduction in hours, if this will help. Another part of the role of occupational therapist at work can be to teach employers and colleagues about fibromyalgia syndrome, including the limitations of people with the disorder, as well as their capabilities, which is just as important. Exercise is very important in fibromyalgia syndrome, and occupational therapists can suggest stretches and exercises that help maintain some level of fitness, as well as improve muscle and joint pain and stiffness.